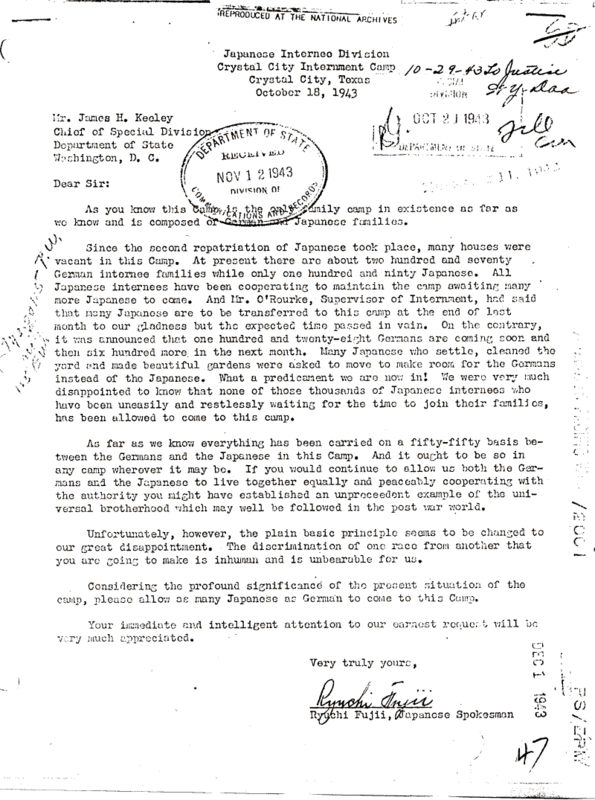 Internment Archives: Complaint from Crystal City Japanese to James H. Keeley, State Dept. Complaint from Crystal City Japanese to James H. Keeley, State Dept. Document Notes: The Japanese complain about Germans. When it came time to seek redress and payment of $20,000 and an apology the Japanese opposed that same benefit to persons other than Japanese. The Japanese also erected a monument at Crystal City in which they managed to ommit any reference to other nationalities.